Jonathan Mudd described the test results as "concerning"
An Autocar test has revealed that the fix Volkswagen is applying to diesel-powered cars fitted with its emission-cheating software can have an adverse impact on fuel economy in the real world. VW fitted more than 1.2 million cars sold in the UK with software that allowed the car to know when it was undergoing emissions tests in order for its NOx emissions to reach legal levels. It is now having to apply a technical fix to all affected cars and has done so to more than 600,000 at present. The Autocar test was conducted at Millbrook Proving Ground to the standard set by the True MPG real-world test cycle of our sister title What Car?. The test used the latest international standard equipment for testing vehicles in a scientific and repeatable manner to industry standards. Comment: what does our VW dieselgate fix test prove? It revealed that while NOx emissions were almost halved from 0.639g/km pre-fix to 0.351g/km post-fix, our test car’s combined fuel economy had fallen from 50.72mpg to 47.61mpg. This means that its CO2 emissions increased from 147.3g/km to 156.9g/km, a change of 6.5%. 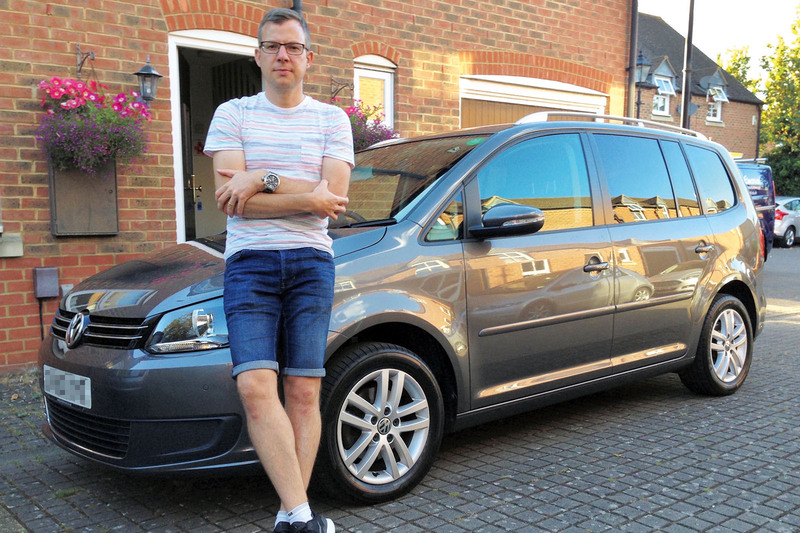 The car we tested belonged to reader Jonathan Mudd and was a 2013 Volkswagen Touran fitted with the EA189 1.6-litre diesel engine, one of three units sold in the UK by VW fitted with the cheat software that needs correcting. The economy drop is at odds with VW’s insistence that its technical fix has no impact on a car’s performance or economy. VW’s claim is based on back-to-back NEDC tests — the lab-based test cycle by which VW is being measured by the authorities — and has been verified by the KBA, Germany’s motor vehicle regulatory body. Our Millbrook test assures repeatability of the economy and CO2 figures to within 1% on any subsequent tests and is typically accurate to within 0.5%, so the margin of error is not enough to account for the 3.11mpg drop in economy. Results for NOx emissions are less reliable from one test, however, and are best recorded as an average of three tests. That is why Autocar is only focusing on the impact the fix has had on fuel economy. VW disputes our findings. It says there are more than 20 variables that can impact a test result such as ours. It would not, however, provide further details of those variables when asked to do so by Autocar. In total, three engines are being fixed in the UK by VW: 1.2, 1.6 and 2.0 versions of the EA189 engine. The number of different combinations of car, transmission, engine and so on comes to 750, meaning VW needed to come up with 750 different fixes. It is understood that the fix to the 2.0-litre diesel models is the most complex. Our test focused on the impact on real-world economy of the fix that VW has applied to the engines, but the 2.0-litre engine type is also subject to a growing number of case studies and reports that the fix is causing breakdowns in cars that have had it done. A report by the Volkswagen Diesel Customer Forum (VDCF) last month said owners of postfix VWs with the 2.0-litre diesel had experienced breakdowns, increased fuel consumption, reduced performance, increased exhaust smoke, excessive regeneration of diesel particulate filters (DPFs) and DPF failure. Exhaust gas regeneration (EGR) valves, turbochargers and fuel injectors are also said to have failed and others report their cars having entered limphome mode or their engines having become noisier. VW claims many of these faults could be down to poor maintenance, with some of the cars even missing their DPFs. None of the issues is related to the fix, VW asserts. VW hopes to have the fixes completed to all 1.2m by the autumn. The German manufacturer says less than 1% of owners have so far reported problems after the fix, which translates to around 6000 customers. In a statement, Volkswagen said: “Far fewer than 1% of UK customers who own affected Volkswagen Group vehicles that have received the technical measures have reported any issues. The VDCF claims the number of complaints and cars affected by the fix is actually much greater and that VW has not kept a log of complaints. The VDCF has urged the government to consider prosecuting VW. A class action case being built against Volkswagen is gathering data in a survey of owners in the UK claiming their cars have been affected by the diesel engine fix. In an email sent to those seeking class action by one of the law firms, Harcus Sinclair UK, it was claimed that of the 7504 survey respondents who had had the fix carried out on their car, 3925 have subsequently experienced a problem with their vehicle. Of those, 2103 have experienced reduced fuel efficiency, 526 have had their car enter limphome mode, and 200 claim to have been told by a garage that their fault is related to the fix. “Volkswagen was not provided with sufficient information concerning the testing criteria nor an explanation of how such a cycle is representative of real-world driving. “Volkswagen also notes that comparative fuel consumption measurements must be carried out very meticulously with, among other things, due attention to cycle profile, duration, the type of test rig and settings (including aerodynamic resistances, coast down data and load adjustments), the system used for the measurement and the scatter of test numbers. “To attain a level of consistency, one measurement is not sufficient and more measurements must be completed on an identical vehicle. Further, as Autocar is aware, in any standard comparative analysis, comprehensive vehicle preparation would always be critical to the reliability of the values. - Despite VW’s claim, Autocar supplied all test details requested by the manufacturer. The test is conducted on a rolling road under strictly controlled lab conditions. This means the test is repeatable, because outside variables such as weather and traffic don’t affect the results. 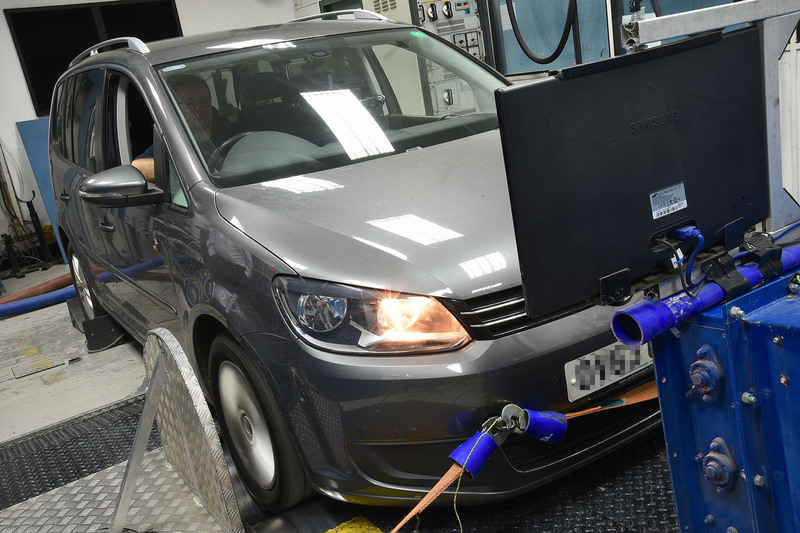 The test is carried out at Millbrook Proving Ground, a centre used for regulatory approved vehicle emissions testing. Millbrook has the latest equipment for testing vehicles in a highly scientific and repeatable manner. First, we inspect the car to check its roadworthiness. We then weigh the car, and that weight is used to calculate the rolling road (or dyno) loads that replicate the resistive forces acting on a car when it’s being driven on the road. Next, the tyre pressures are checked and an exhaust connection is fitted, allowing the car’s emissions to be measured. We also carry out an exhaust pressure check to identify any leaks. The climate control is turned on and set to 21deg C. Headlights are switched off during testing. Any other electrical equipment — for example, stereo or heated seats — is also switched off. Next, we carry out a pre-conditioning test on the car. This is, in effect, a dress rehearsal, to check that there are no problems and to make sure that all the cars we test are in the same state before they start the True MPG test. We leave the car to ‘soak’ at 23deg C so that every car starts the test with the same engine temperature. We don’t place the car’s battery on charge while this is going on. Then it’s time for the True MPG test. We sample the tailpipe emissions — carbon dioxide (CO2), nitrogen oxides (NOx), carbon monoxide (CO) and unburnt hydrocarbons (HC) — on a second-by-second basis and collect bagged samples of each phase of the test for our calculations. Our results are summarised by different phases of driving — town, motorway and rural — and fuel economy figures are calculated from CO2 results. Finally, our headline True MPG average is calculated. 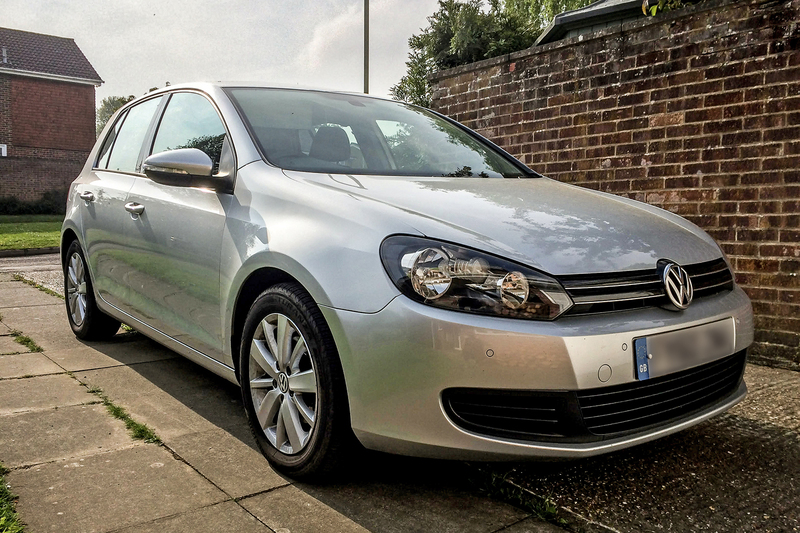 Hampshire-based reader Richard Frame had his Volkswagen Golf 1.6 TDI’s fix completed in January. The next day, Frame’s car began to judder in low gears, and the fan went into overdrive when the engine was turned off. He took the advice of the local VW garage and drove it at above 45mph in fourth gear for 15 minutes, in a bid to regenerate the diesel particulate filter (DPF). Nine days after the fix, the car wouldn’t start, so Frame returned it to the VW garage. Three days later, he was told the car needed a new exhaust gas regeneration (EGR) valve. VW eventually agreed to cover the cost (about £1300) but wouldn’t say this failure was in any way linked to the emissions fix. This procedure took a week, at which point Frame was informed that the garage had found a faulty injector. VW also agreed to pay the total cost for this (about £700). When Frame collected his repaired car in mid-February, he still noticed a significant difference. In early March, VW recalled Frame’s car because the EGR valve had been fitted with the wrong bolts. He expressed his concern about the Golf still sounding very different and juddering after it had been started. VW checked the other injectors but determined that none of them was faulty. Since then, Frame said he has repeatedly experienced strong burning smells from the engine after short journeys and the fan runs rapidly to cool the engine. Frame contacted VW on 20 March about the ongoing issues with his Golf and was told a case manager would call him back. At the time of Autocar going to print, he had still not received that call. He said: “Before the NOx emissions service action was applied, my wife and I had been very happy with the car and with its performance. “Now, the car sounds like a van and smells like a lorry. Volkswagen has picked up the bill so far but at no point has it accepted there is a link between these additional problems and the emissions fix, when I believe this is the obvious cause. I don't know why anyone would be stupid enough to have the 'VW Fix' applied in the first place. The cars were running perfectly well so why allow some 'quick fix' to be applied to your car.....with the potential to wreck your car in so many ways. My wife's car is running beautifully without the 'fix'. There will now be a differing value for second-hand VW's with or without the 'fix'. Those with the fix being worth less. I think you are a bit previous Ryan with your list of manufacturers .....the 'witch hunt' is still on, and any of these could yet be found to be also cheating the regulations. My guess is that most will be found to have in some way circumnavigated the ill thought out, impossible and ridiculous EU laws. Then we will see how helpful and caring they are when faced with crippling costs! I am afraid that you are aware that your wife's car pollutes the atmosphere without the 'Fix' or that you really don't care. Your wife certainly doesn't or has no understanding of the subject as a whole. Fix It Again Two eight nine, please, or buy a FIAT. Good luck selling your cheat mobile second hand. I would not touch a VW diesel. You seem to have completely forgotten what they actually have been doing...INCREDIBLE!. The car can detect when it is emissions tested...sounds magical and clever but what is clever is making the car clean and efficient at the same time. VW could have made these vehicleS emissions compliant but they knew that they would not be able to declare such astounding CO2/FE figures SO THEY CHEATED. No ifs no buts 289....THEY CHEATED. VW have consistently harped on at how fuel efficient their cars were....but of course to the detriment to the environment. NO other manufacturer has been found to 'cheat' (there is no other word for it) in the same manner as of yet. Hang your head in shame VW. I know first hand that other manufacturers are livid with the VAG group for reducing the value of the 'Diesel brand'. Our car was serviced by Arnold Clark VW of Glasgow. I was told by the lady selling the service plan that our car (a 2011 Touran 2.0, 40k miles) was not included in the recall campaign organised to "fix" VW cars with cheat software. On the second drive after the service (and MOT), the diesel particle filter light showed, and then two days later it was joined by the engine management light (coil) and the emissions control light. I duly took the car back to the garage (this being a sister garage of the workshop that performed the "service"). This scenario occurred 4 times over a course of 4 months, until the sister garage's service manager declared we had received 3 regenerations for free, the 4th had failed and that it would now cost in excess of 2000 pounds to get the DPF fixed. He said this was not an unusual problem, and that the fault had nothing to do with the "service". It was during the exasperated exchanges with him, that he mentioned that the "fix" had been applied, so I did my research and lo and behold I find that VW (through Arnold Clark) has effectively scuppered a perfectly performing engine. We got a specialist to clean the DPF for 200 pounds, but since the original "service" and "fix", the car has growled like a Ferrari but pulled like a cow. The fan roars after the shortest of journeys, MPG is down and the exhaust stinks so bad, I won't let the kids near the car while it is still warm. I am getting in-car smells too. Thanks VW. Thanks Arnold Clark for saying it's my fault. A special Facebook/twitter page exists where all the Owners are posting with the issues they are having post fix. A lot of EGR valves are failing because they are having to work far harder than they were designed to because of the amount br of soot now being produced because of poor running, and also the dpf attempting regens on a regular basis. It's having a huge impact on owners. We can now have an end to the Autocar in cahoots with VW conspiracy theories. I fear not. Been banging on about a test for I don't know how long. Well done Autocar for having a crack at this although pity it was the 1.6, the 2.0 I suspect would have been more damning still. The CO2 rise surely should be of major concern. Our government let VW off the hook in a shocking way, I would have had all the fixed vehicles independently reassessed for CO2 and the owners road tax and company car tax adjusted instantly. Then see how keen people were to pick them as company cars next renewal after being stung with a tax hike mid-term.